What is the Fair Market Value Of My Modesto House? 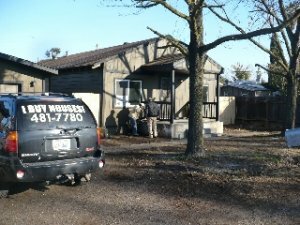 What is My Modesto House Worth? The hardest part of selling any house is to come up with a price and game plan that will actually accomplish that goal. Often time’s people get hung up on the emotional attachment of a home and can’t see how the market conditions and the realities of the house itself that may be at odds with the plan. If you need to sell your Modesto house fast, then you need to get past what is generally, and understandably, the emotional sense of how much your home is worth. After all, we buy our homes because we like them, we decorate them to suit our tastes, and we raise our children in them. Our homes truly represent more than what the rest of the world sees as four walls. The faster a Seller can get past the emotional issues and focus on the real “market value,” the sooner the process of selling can begin. I have been on both sides of the selling equation spanning many years with hundreds of houses. I can tell you firsthand about my thoughts and trepidation about someone else’s opinion regarding the value of any of the houses that I have bought and sold. As a Cash Home Buyer in Modesto I have been the messenger too many occasions, but as a professional, I am not afraid to tell the truth and discuss the realities of the Modesto Real Estate Market. Being honest has won more business than I have ever lost. Its a plan that works. Market value is simply: “the price that someone else will to pay under normal conditions for a house.” It is basic supply and demand economics. As home inventories increase, home prices will fall. If home inventories decrease, home prices will increase. So how do we arrive at a fair Market Value for your House? 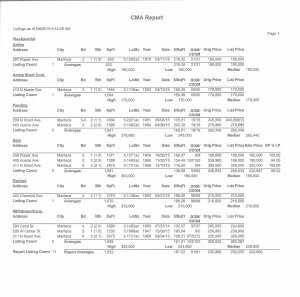 The Comparative Market Analysis allows Sellers and Buyers of Houses in Modesto see what other houses have sold for. The most common and widely used method for arriving at the fair market value of any house is the “comparative market analysis” (CMA) used universally by appraisers, real estate agents and real estate investors. It is an estimate of the houses value based on its location, age, size and configuration, it’s uniqueness and of course its condition as compared to other, similar houses that have sold within a ¼ mile radius within the past 90 days. Real Estate Agent data comes directly from the Multiple Listing Service of houses sold in the Modesto Market. But it is just ne piece of the data and I would recommend that any seller contact their local Title Company to retrieve data from all cash sales as well. Of course a written appraisal from a certified Appraiser is the best way to determine fair market value for any house, but often it is merely a reflection of the same data found in the comparative market analysis. Appraisers can then zoom in the analysis and look at the various options and features in the homes compared. 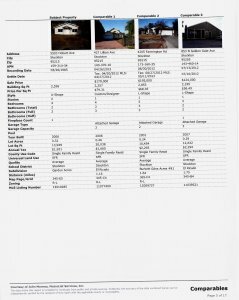 When this information is presented in a written format that summarizes the primary features such as lot size, age, bedrooms, baths, garage, pool, etc., a price range becomes more evident. Real Estate Investors, Appraisers and Real Estate Agents look at three main areas in a Comparative Market Analysis (CMA). These include 1) Houses Sold, 2) Houses Pending Sale and 3), Houses with Active Listings. The more recent the comparable sales and pending homes in the analysis, the more clear the market values . Note that the a list of comparable sales will let you compare the listing price vs. the final sales price. It will tell you more about the true market price and value of the house so you can become competitive. Keep in mind that selling a house fast is a competitive business. Buyers have options and choices based on many factors and price is just one. The comparisons of active listings will indicate very little about a houses true market value, they are more of the pricing wish list, but it will tell you a lot about how the competition has priced their houses. Smart Sellers and Buyers will consider the competition and look at everything in the neighborhood before making a pricing decision. The combination of the two analyses should help you to price your home competitively to sell it quickly! Finally, in some cases and housing markets, comparable sales are not easily found. For instance if you are selling your 50-year-old country cottage on one acre in an area that is primarily five-year-old Spanish colonials in subdivisions, your analysis may not be as useful at all. Keep in mind, that any comparisons will be better than just a guess and it may mean that you need to expand the search to ½ mile or greater to find more similar houses. When selling your house the trick is to find the proper balance, but ultimately the decision to price the house is yours. Carefully analyze the market and then sit back and calculate how many mortgage payments, insurance payments and other home costs you are willing to pay until the property is sold. Then calculate the value of the peace of mind that a fast sale would bring. My name is Peter Westbrook and I am the owner of Westbrook Real Estate Investments located in Modesto, Stockton, Sacramento, Manteca and Lodi CA. Call me at (209)481-7780 and let me make you a fair cash offer today.